The soft early light of Friday morning 27th October saw the delivery of the latest locomotive project to come to the Amerton Railway. This is Baguley 3235, one of several similar locomotives built by Baguley of Burton-on-Trent for pleasure railways throughout the UK. 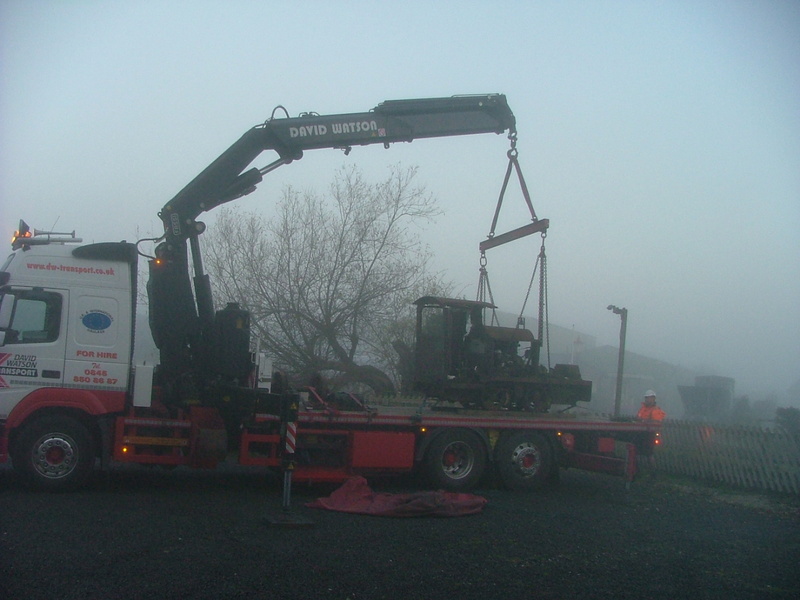 Built in 1947 and originally delivered to Butlins at Sheerness, the engine moved to Filey in 1953. 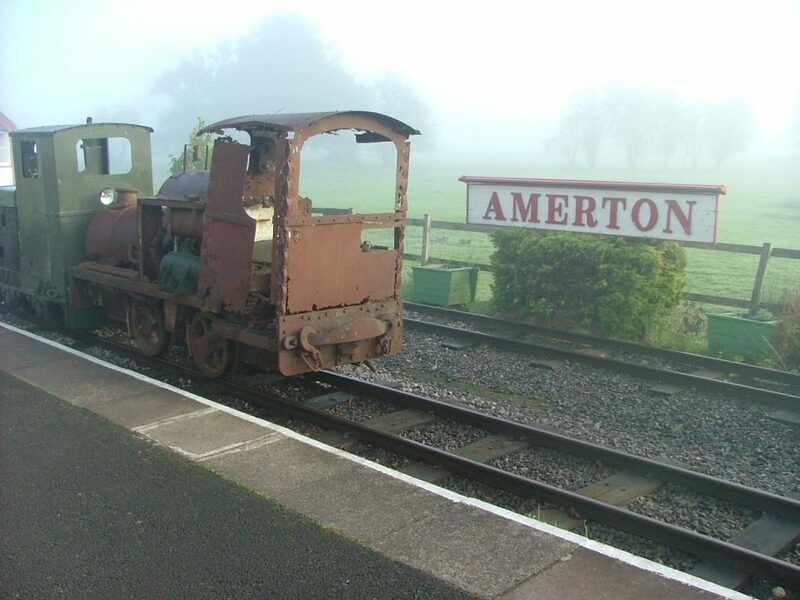 Out of use for more than 40 years, 3235 is a younger sister to “Dreadnought”, Baguley 3024 of 1939, which has been in regular use at Amerton for many years. The two locomotives are similar in general appearance, although with important technical differences. Both are owned by one of our volunteers, “Dreadnought” is currently undergoing an engine rebuild, whilst 3235 will require attention to paintwork and polish (and perhaps a bit more!) before she is back in service. We are fortunate to now have four Baguley locomotives based at Amerton:- Dreadnought, 3235, “Golspie” (2085 of 1935) (from the Trentham Gardens railway) and A10 (3782 of 1984), the largest and newest loco, which worked in the Royal Navy Armaments Depot at Trecwn, south Wales. This gathering of Baguley’s products being very much in keeping with the Amerton Railway objective of collecting and displaying narrow gauge equipment with, where possible, Staffordshire connections. We look forward to bringing you news of 3235’s return to running order in due course.